A scene from Laurel Canyon in the Laguna Coast Wilderness Park, part of the open space legacy created by Laguna Greenbelt’s founder, Jim Dilley. Photo by Ron Chilcote. 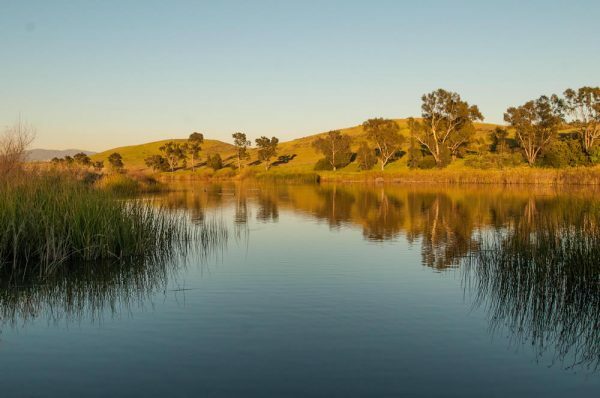 Laguna Greenbelt, Inc. celebrates its 50th anniversary as advocate for local wildlife habitat with a presentation and film at the Laguna Canyon Conservancy dinner Monday, Feb. 5, at Tivoli Too! restaurant. The late Jim Dilley founded Laguna Greenbelt, Inc. in 1968 to establish open space around the town of Laguna Beach. Along the way, its mission has evolved to advocacy for continued open space expansion. Today, six open space and wilderness parks make up 22,000 acres of protected land, almost four times the acreage Jim Dilley originally imagined. Laguna Greenbelt has also supported securing funding for habitat restoration along local creeks, establishing the Coast to Cleveland Wildlife Corridor in Irvine, and enshrining Laguna Beach as a nationally recognized Historic American landmark by the National Park Service. The public is invited to the 7:30 p.m. film screening. RSVP by Feb. 3 for the 6:30 p.m. dinner of $15 to [email protected] or call 949-235-8277. Bob Whalen, second from right, flanked by hosts Kevin and Lora Baldridge and clinic director, Dr. Jorge Rubal. 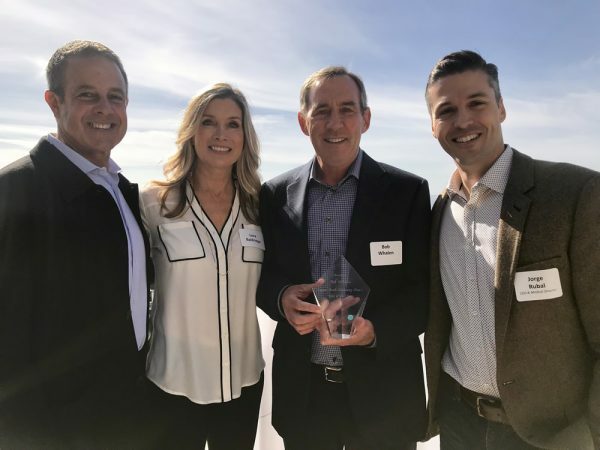 The Laguna Beach Community Clinic celebrated their benefactors with 43 guests at the home Kevin and Lora Baldridge last month. “Our brunch feels more like a family reunion,” Dr. Jorge Rubal, the clinic’s chief executive and medical director said in a statement. Pajama story time with Brooke Briggs returns to the Laguna Beach Public Library for kids of all ages on Monday, Feb. 5 at 5:30 p.m. Wear your PJs to 363 Glenneyre St. and let Brooke’s musical stories send you off to dream land. The Laguna Beach Garden Club celebrates its 90th birthday with its annual container garden silent auction fundraiser at 9:30 a.m. on Friday, Feb. 9, and a Valentine plant and planter sale from 9 a.m. to 3 p.m. on Saturday Feb. 10. Both events take place at Laguna Presbyterian Church, 415 Forest Ave.
Expect offerings that include pottery, succulents, hand carved wood from Laguna’s historic pepper tree and glass-beaded herbal salves and tinctures. Funds raised benefit school gardens and student scholarships. Join OC master gardener Aneta Dorhout for a free workshop Saturday, Feb. 10, from 9- 10 a.m. at the Community & Susi Q Center, 380 Third St. Your salad bowl will never be the same. Pre-registration is required 48 hours in advance at 949 464-6645. Laguna Beach residents who are interested in serving on a newly established Historic Preservation Ordinance Task Force will attempt to reach consensus on a pending ordinance and provide a recommendation to the City Council. The task force will consist of nine community members selected by two City Council members, who will act as non-voting liaisons. Applications, due by Wednesday, Feb. 28 at 5:30 p.m., are available from the city clerk’s office or on-line at www.lagunabeachcity.net. Questions may be directed to 497-0705. Mindfulness and meditation workshops will be offered in Laguna Beach for survivors of breast cancer by The Laurus Project, a non-profit that focuses on breast cancer prevention, treatment and quality of life for survivors. The free, 90-minute workshops on Tuesdays, Feb. 27, and March 20, start at 5:30 p.m. and will take place at the Laguna Beach Community & Susi Q Center, 380 3rd St. Registration is available through the Community Center website. “Our goal is to address all aspects of a breast cancer survivor’s well-being: physical, emotional, spiritual and social,” said Laurus founder Teresa Lawsky. Parents can enjoy some adult time while their kids play games, watch movies and make arts and crafts during Parents Night Out on Friday, Feb. 9, from 5:30-9:30 p.m.
Children are dropped at the Community & Susi Q Center, 380 Third St. The cost is $20 per child, discounted by $5 for a sibling. Pre-registration is required 48 hours in advance by calling 949 464-6645. Dr. James J. O’Connell, Boston’s only doctor making house calls to the homeless, and Bobby Watts, chief executive of the National Health Care for the Homeless Council, speak about their work to eliminate homelessness at Christ Cathedral Campus, Cultural Center Freed Theater, 13280 Chapman Ave., in Garden Grove. The Illumination Foundation hosts the event, 8:15 a.m. to 12 p.m. Thursday, Feb. 8. Carrie Joyce, left, leads Laguna’s Assistance League. 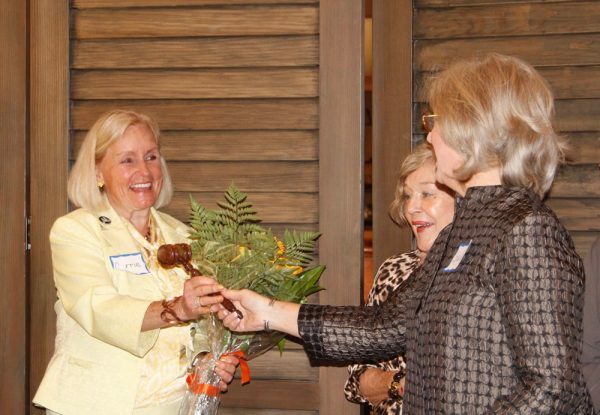 Carrie Joyce’s mission statement, “No act of kindness is wasted,” informs her duties as president of the Assistance League, which she has led since last June. She aims to expand Laguna’s Early Intervention Program into other Assistance League chapters as there is a need for helping children with learning disabilities. Joyce, who joined the league in 2001, follows in the steps of her mother, past president of the Assistance League Santa Paula chapter. She was drawn to the Laguna Beach group’s EIP program for babies with learning disabilities including Down Syndrome, spina bifida and cerebal palsy. Joyce is also a past president of the local Ebell club. She also worked for the city’s fire department for 18 years, and started a Neighborhood Watch program. She attended UC Irvine where she earned her degree in criminal justice. Photo: Carrie Joyce, left, leads Laguna’s Assistance League.